What to know before purchasing a Manufactured Home in Statesville NC. As the market continues to improve, prices have still remained steady and rates have continued to fall. The word on the street is that a 30 year fixed could go as low as 3%. Crazy huh? I am still seeing a hole in the market though for homes under $125,000. Many of the homes in this price range need a good amount of work or just hard to find. I always coach my clients to be prepared with their current pre-qualification letter and to be ready to MAKE that decision. It is a large purchase to make but hesitation may lose you the home you a great deal. Lately, I have seen some great deals on Manufactured homes and that is what I wanted to talk about today. I have sold many Manufactured homes, some in great condition and some in really bad condition but most at very good prices. Here is what you need to know before purchasing a Manufactured Home in Statesville NC or Iredell County. For many, there is a confusion between a Manufactured Home (single or double wide) and a Modular Home. Let’s take a look at the difference and talk about how this choice may affect you. Manufactured Home (Single or Double wide): A manufactured home is very common in Iredell county whether it is a single wide or a double wide. Often referred to as a “trailer” or “mobile home”, this type of home is built in a factory on a steel frame and transported to it’s destination. This steel frame in permanently attached to the home. The homes are built to Federal Building Codes or HUD codes and not the local building codes. Each home will have a metal plate affixed to the front left that has the serial number and other important information and is not to be removed. When the home is delivered to the site, often in 2 pieces, it will be placed either on a permanent foundation (the best option) or it may be just skirted in and left to be mobile. These homes are usually less expensive to purchase but tend to not increase in value as much as a site built home or modular home. Modular Homes: Modular homes are also built in a factory but are not classified the same as manufactured homes. As a buyer, you need to be aware of the difference here. There are two different types of Modular home and if it is important your Realtor finds out which type you may be looking at. Often times, this difference could mean not getting your loan. On Frame Modular: With an On-Frame Modular, the home is similar to Manufactured and brought out on a steel frame. The construction is usually higher quality and often times, you will see a steeper roof pitch. You will not find the HUD label on the exterior but you will find that the steel frame will remain under the home and will most likely always be on a permanent foundation. Off Frame Modular: An Off-Frame Modular home will be built in the factory and trucked out in sections and then assembled right on site by local workers. Very much like building a home on site except that the frame in able to be built in a dry environment. The sections are then put together on a slab, crawl space or even a basement foundation. These homes are very difficult to distinguish from “stick built” homes and in some cases, the fact that it is a modular may not be known to some Real Estate Agents. Be sure to check the tax records. Purchasing a Manufactured Home: There are a few very important things to consider when purchasing a manufactured home that many buyers are not aware of and I want to explain in detail. Financing: A big mistake home buyers make is assuming that all financing is created equal. Not so. If you are considering a Manufactured Home, you need to let your lender know right up front so that they can tailor your loan to fit a Manufactured Home. Not all loan programs will allow for manufactured homes and often times will require a larger down payment. FHA loans allow manufactured homes but under strict guidelines (we will talk about that in a minute), USDA Guaranteed Loans do not allow used Manufactured Homes (only new) but the USDA Direct program does, VA does allow manufactured as well as many private lenders such as Vanderbilt Mortgage or 21 Century Mortgage. You will also need to know the in most cases, lenders will view an On Frame Modular the same as a manufactured home so be sure you know the difference and not be surprised just before closing. Most of the time, banks will look at Off Frame Modular the same as stick built homes but ALWAYS be sure to ask before you place an offer. Your manufactured home will also need to have a permanent foundation and be taxed as real property and not personal property to qualify for most financing. Have your Realtor check the tax records to confirm the status. Inspections: When purchasing a Manufactured home, always be sure to have a home inspection done. If you are getting a loan that goes by FHA guidelines, the foundation will need to be inspected by a licensed professional engineer and obtain a certification letter stating it passes FHA guidelines for Manufactured home foundations. This will include hurricane clips, wrapped columns, plastic sealing and more. If the home does not pass inspection, it must be brought up to specs in order to obtain financing, often at the cost of the seller. Repairs: As with stick built homes, the home must be in good condition and must pass certain minimum standards for financing. If the home has broken windows, major rot, electrical issues or plumbing issues, your lender may require those items to be fixed before you can obtain financing. You can ask the seller in most cases but with foreclosed manufactured homes, that may not be an option. If the bank will not make repairs, you may not be able to purchase that home. One way around that is to look in to the FHA 203K renovation loans. These are available on Manufactured homes and are a good way to get the home in top shape and have it all financed into one loan. Always do your homework before purchasing a fixer upper. Purchasing a manufactured home in today’s market can be a great buy, especially for first time home buyers and investors. With the prices of manufactured homes at an all time low, you can pick up a pretty good deal for under $50,000 and do minimal work to get it in shape. Owning your own home and paying less than area rent…. Can’t beat that! Be sure to check my website for a complete list of Manufactured homes for sale in Statesville, Mooresville, Troutman and all of Iredell County. Call me for additional information. 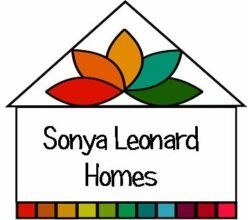 If you see a property you would like additional information about or would like to schedule an appointment to see, please don’t hesitate to call me directly at 704-450-0588 or email me at Sonya@SonyaLeonardHomes.com. I am happy to help. Posted on July 26, 2012 October 31, 2012 Author sonyal63Categories Buyer Tips and Information, Investing in Real Estate, Mooresville Buyer Information, Mooresville North Carolina, Statesville Buyer Information, Statesville North Carolina, Troutman Buyer Information, Troutman North CarolinaTags buying a manufactured home, Financing, Manufactured homes, mobile homes, modular homeLeave a comment on What to know before purchasing a Manufactured Home in Statesville NC. Ever thought of using your IRA to buy investment properties? Tom Lundstedt is an excellent real estate trainer and accountant and really knows his stuff. I have his workbooks on purchasing and analyzing rental property and if you would like to look at his worksheets, let me know. I am happy to share (and I have permission to share with you!) One thing you want to be sure of is this…that you have a good accountant that knows how to handle this this type of transaction on your tax return. Make some calls and do your homework. There are alternatives to traditional financing, you just need the resources to find them. Put that IRA to work for you today.